UpFront with NGS: Genealogy and Family Health -- Don't focus so much on the deceased that you don't pay close attention to any trends in how your ancestors died! Genealogy and Family Health -- Don't focus so much on the deceased that you don't pay close attention to any trends in how your ancestors died! In our research we collect data including death certificates, seek out obituaries about our family members and possibly even take DNA tests to help us identify distant cousins and unlock the puzzle of our ancestry. As you are doing the above, how close do you really read what you’ve collected in terms of what people died of? We often get so caught up in discovering our ancestors that we might overlook an obvious trend of family members dying of heart disease, strokes, breast or testicular cancer, etc. Oregon Live posted The importance of family gatherings to your health which talks about two women who in hindsight learned that their health woes were the same experienced in their genealogy tree. If you didn’t catch the Upfront with NGS post titled Genealogy and Family Health History Go Hand-in-Hand! you can learn more on this subject and be introduced to one of many tools that might help you document your families health history. 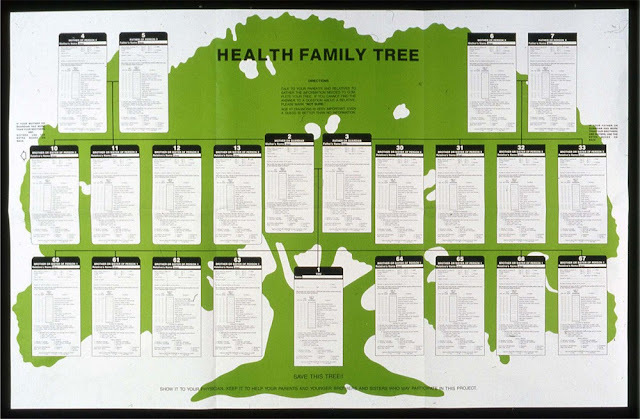 Ancestry.com also has a page, Creating a Health History and the Utah Department of Health has a Family Health History Toolkit. As you do your research and collect information about your family, please pay attention to any trends in terms of health issues. So many are genetic and as such they are inherited. Has your family history research revealed a health issue that has been passed down through the generations? Have you done anything to try and minimize your risk of experiencing that health issue?